By popular demand, the course maps! 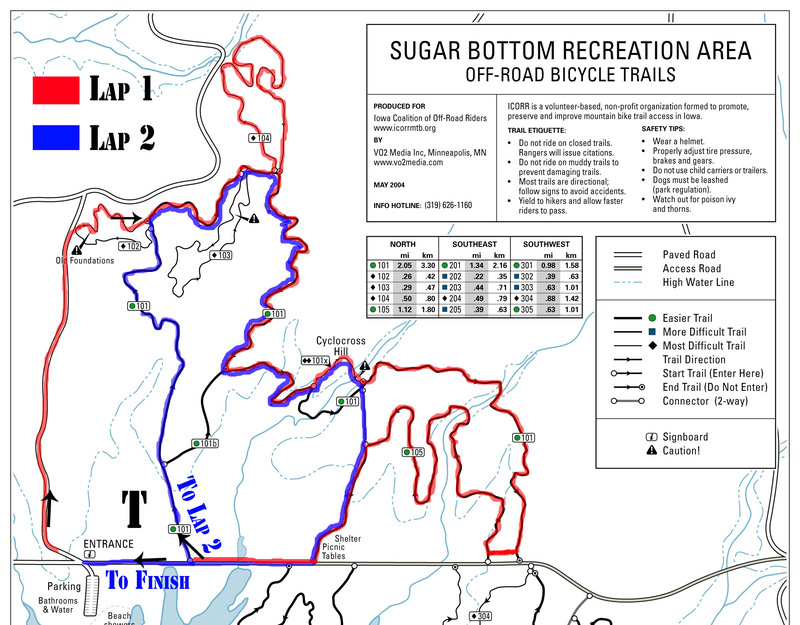 The Sugar Bottom single track will be a tough test for XTERRA newbies and seasoned mountain bikers alike. To navigate the map by color, you ride Red --> Yellow --> Green --> Blue --> Purple --> Tourqouise --> Orange. You'll do the Yellow thru Orange three times.. 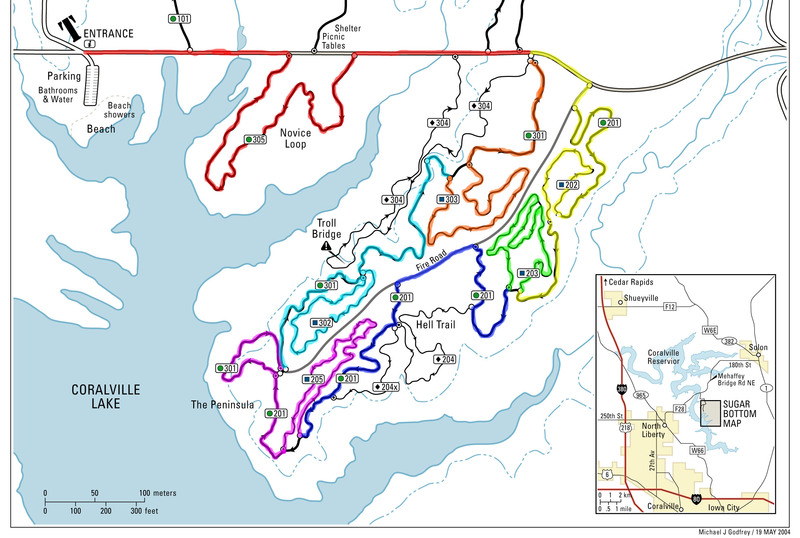 The course is 14.8 miles. 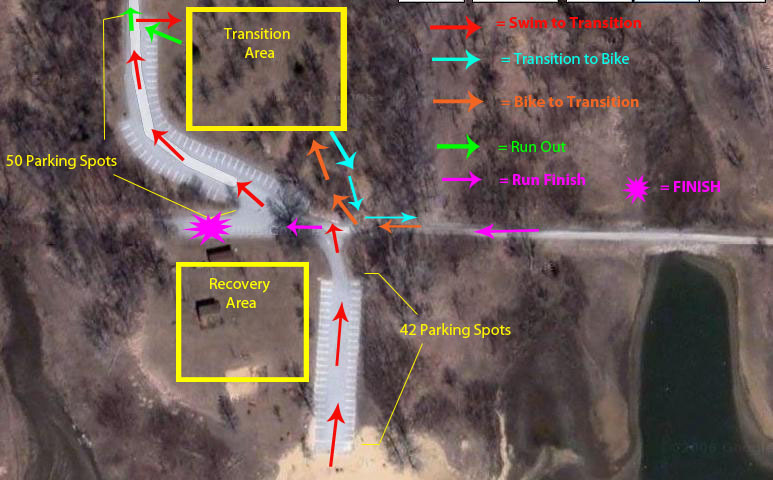 The run goes north from transition and hops onto the trails at Old Foundations. From there, follow the red line. Once you exit the trail at the end of 105, turn right for lap two onto 101 and follow the blue line. You'll be running for 10 km (6 miles). An Event By Just Go Faster!